This editorial content area drives the actual message shown in the image above. This cookie notification appears on every page of the site, until the user clicks the X to close and accept it. Every seven (7) days it will re-appear for a user to re-confirm. 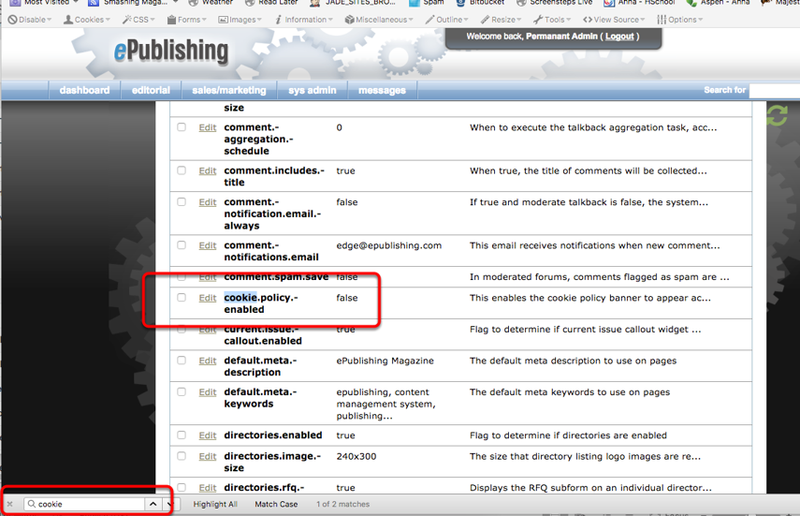 Search for an editorial content area called cookie and select the one with the internal name of cookie.policy. 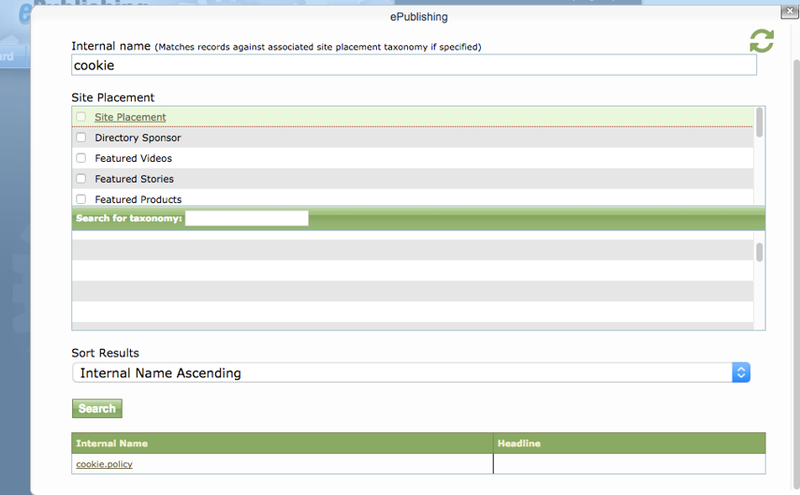 Add a site notification for readers of your site to see when they access your site. Zoom: Add a site notification for readers of your site to see when they access your site. 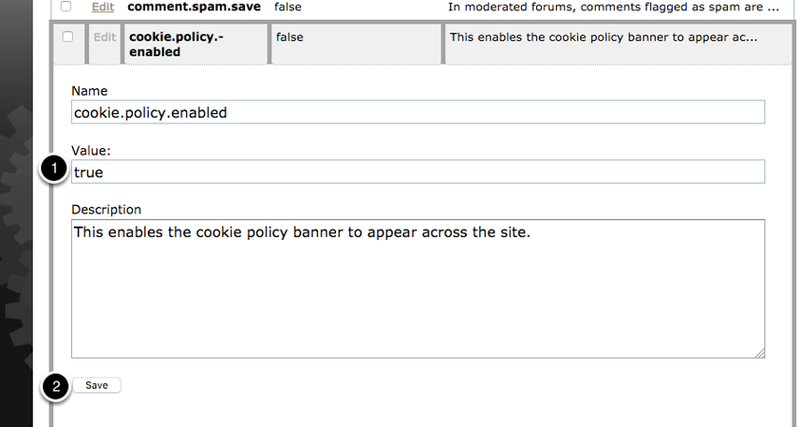 Look for the system setting of "cookie.policy.enabled"
Using your browser's "search" function, search for the word cookie to find the relevant system setting.